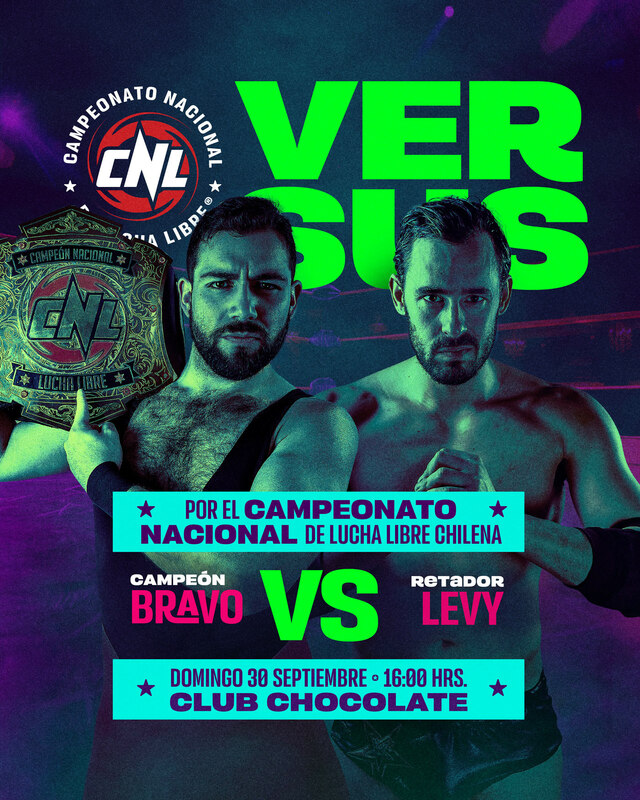 The confrontation between current national champion Valentín Bravo and the only star in chilean pro wrestling, the actor who became a wrestler, Ariel Levy in a main event scheduled for one fall, for the title of Chilean Pro-Wrestling National Champion. The odds are divided, so we designed a twin set of posters that the fans could share and make their own, depending on who they supported. In this video, I explain the process behind the file contruction of this project (in spanish). 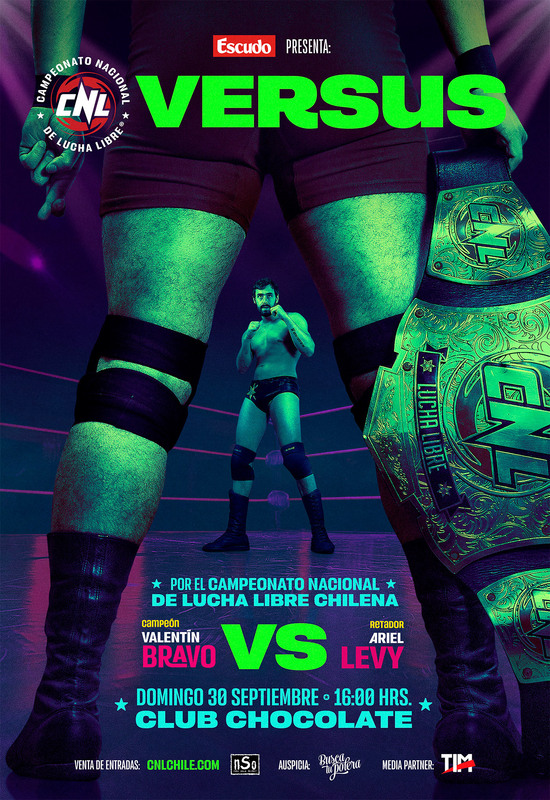 All graphics were designed with Versus typeface, a font designed by Marce Moya Ochoa inspired in chilean pro wrestling, and available vert very soon via LatinoType. FREE BETA DEMO AVAILABLE HERE. WIP • Updates to this project are coming soon! 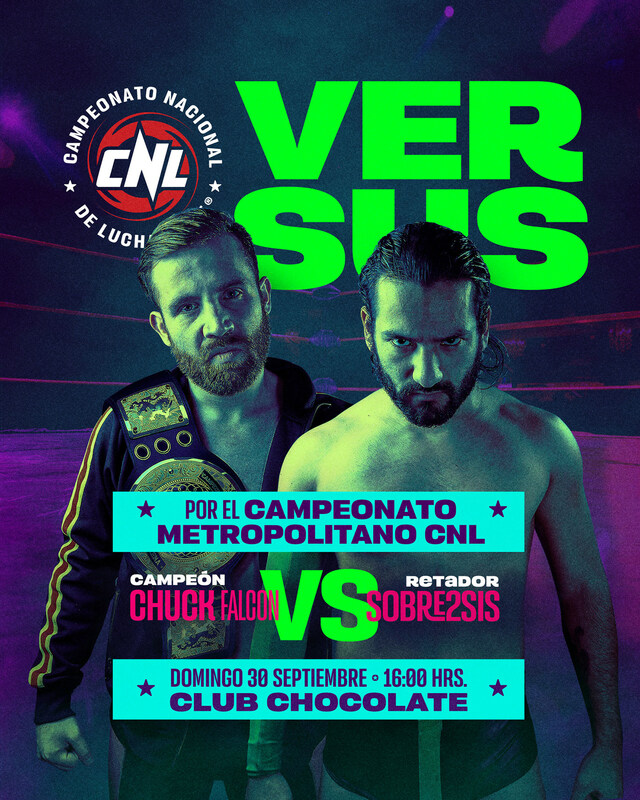 Versus is the latest show of Campeonato Nacional de Lucha Libre. 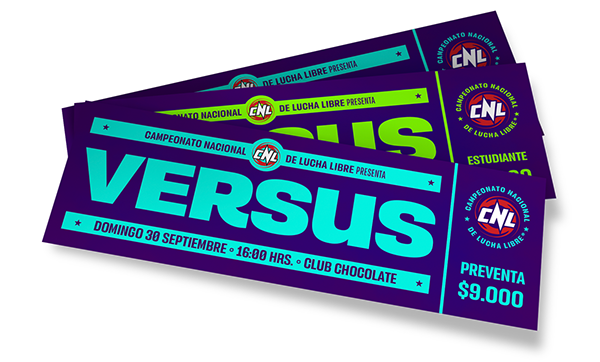 We designed a promotional campaign that conveys the word versus in everyway, from the photographs produced to the use of color, confrontation is the main leading concept for this project. All graphics are designed with the Versus typeface, a custom font soon to be published via LatinoType.